It seems only natural for arrangers to look to the choral repertoire to create sets of short chorales as warm ups or concert pieces. This collection takes some famous chorales from Luther, Praetorius and others and puts them together to form a practical and useful suite that is approachable by young musicians. 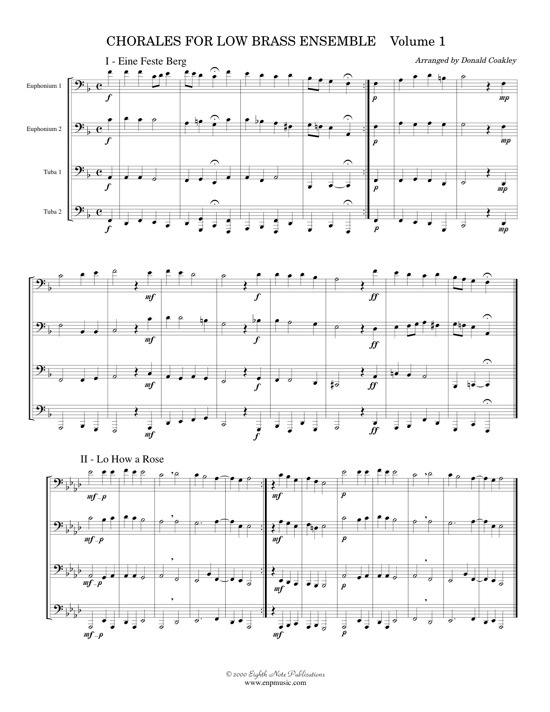 This arrangement is part of an interchangeable set for 4 instruments that can combine any number of instruments (flutes, clarinets, saxophones, trumpets, horns, trombones and tubas).